Feast your eyes on these new wafer paper beauties! 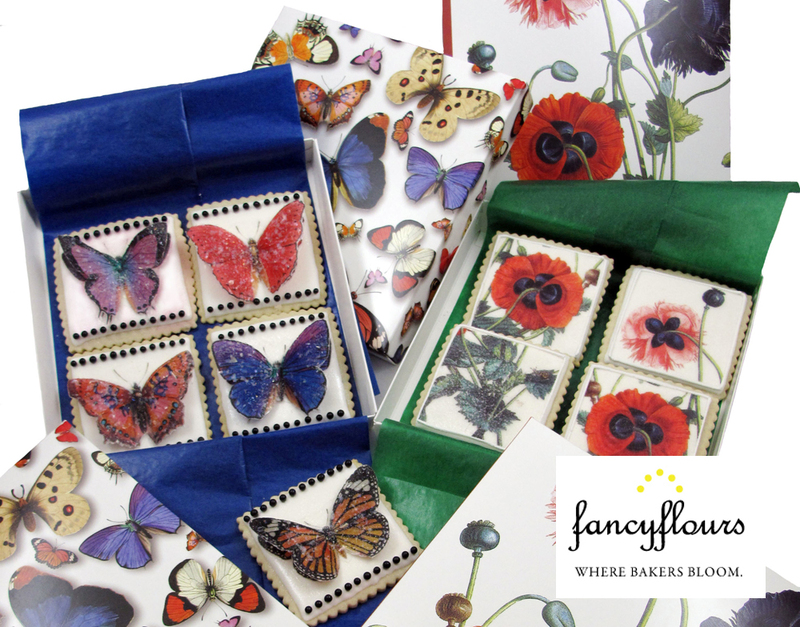 Our Butterflies and Botanicals Wafer Paper collection is in stock, featuring poppy and butterfly designs, and pairs up nicely with a couple fabulous new candy box patterns, Poppy Design and Butterflies Design. Create a stunning presentation with wafer paper cookies (we used the crinkle square cookie cutter) packaged in these colorful boxes. Wafer Paper is simple to use…Follow the steps below for a baking masterpiece! • Use No Fail Sugar Cookie recipe and cut out several crinkle square cookie shapes. Bake and cool as directed. • Ice each cookie with 1 layer of royal icing or buttercream, if you prefer. Let completely dry. • Carefully cut out wafer paper butterflies using craft scissors, making sure each one will fit on the cookie. Be careful, wafer paper is fragile! • Spread a thin layer of edible clear gel onto the wafer paper butterfly and slightly fold in the center, so the wings are bent up. Place each butterfly in a section of the egg carton so that the wings will dry standing up. 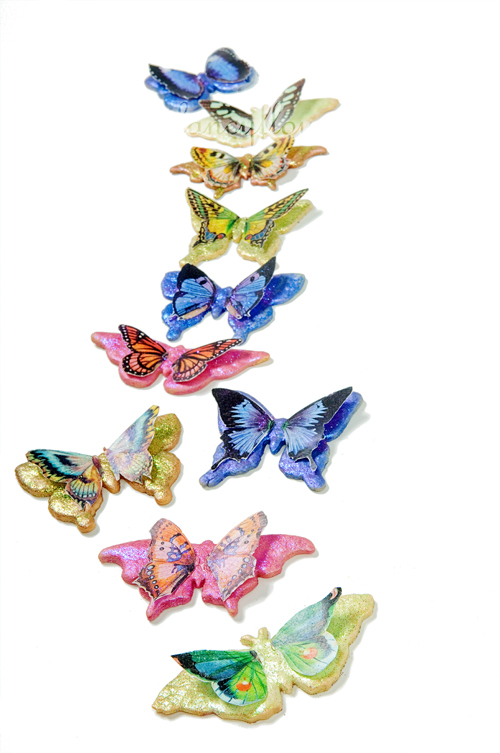 • Add shimmer to the butterflies by dusting with a small amount of Gold Luster Dust or White Edible Glitter. Let butterflies completely dry in egg carton. • Adhere butterflies to cookies by using a dab of edible clear gel on the underside of the body of the butterfly and attaching to cookie. Hold in place for a minute before drying on its own. Let dry completely. • Add additional decorations, such as Black Sugar Pearls, to complete the cookie design. • Let completely dry and store in an airtight container. SALE! Save 25% on our entire wafer paper collection! Okay all of you wafer paper aficionados – now is your chance to save big on the entire wafer paper collection at Fancy Flours. Yep! That’s right – save 25% on any wafer paper designs (including this beautiful new bird & butterfly pattern) today through this Sunday (6/27)! No need to worry about a coupon code – the discount is automatically applied at checkout! This is all part of our new “Weekly Special” sales…every week we will feature a product and offer a corresponding 4-5 day sale. Just be sure to subscribe to our weekly emails HERE to be in the know about these special offers! Visit our HOW-TO GUIDES for step by step instructions on creating the lovely dessert masterpieces featured above. Spring has Sprung! Liven up your cookie baking this season with the unique look of wafer paper! This PINK BLOSSOM pattern is perfect for spring and summer, birthday parties and more. A fun after school project for kids is to make MINI ALPHABET COOKIES and let the kids have a decorating party. Make a batch of icing and get an array of sprinkles and decorations for them to use! Or can always get that extra special look with a few EDIBLE SUGAR BUTTERFLIES atop a fresh made cake or cupcakes. Spring Sale 20% off your order now through April 18th! Spring Sale! 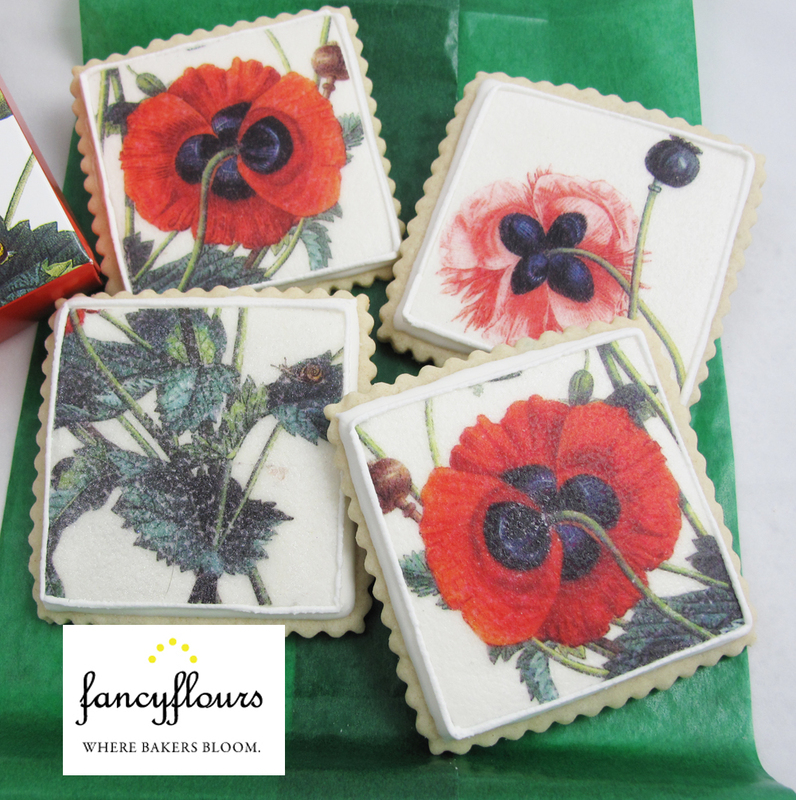 From now through April 18th, enjoy 20% OFF your entire order at fancyflours.com. 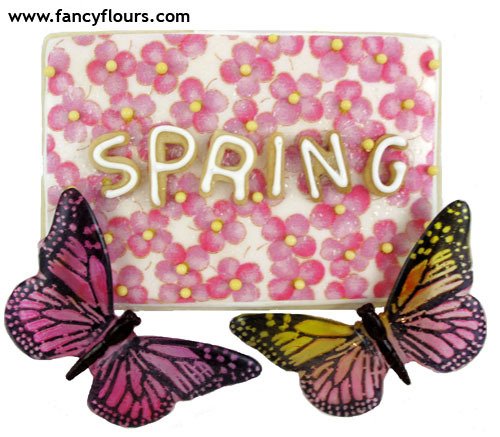 Shop for spring sprinkles, decorations, cookie cutters, wafer papers and much more! Discount does not apply to sale items or shipping charges. MUST USE COUPON CODE: butterfly AT CHECKOUT TO RECEIVE DISCOUNT. Coupon code not to be used in conjunction with any other fancyflours.com coupons. 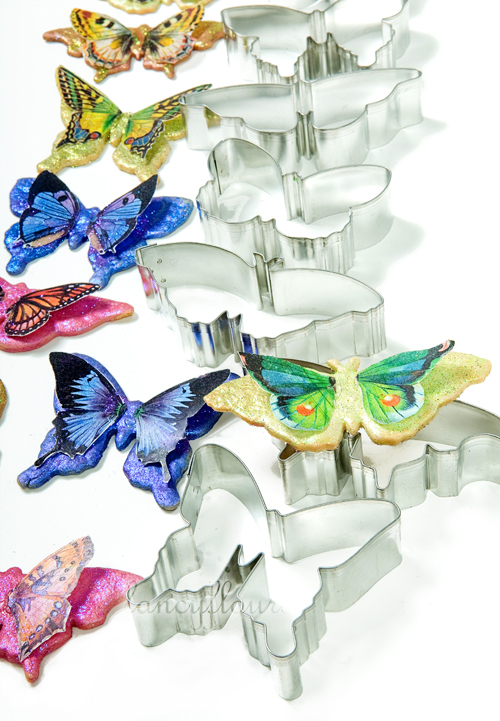 Loving our spring butterflies? Check out our HOW-TO recipe pages for a complete overview. 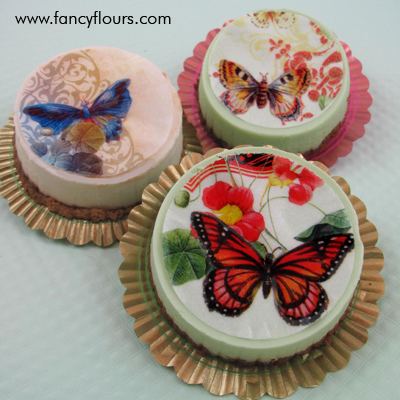 View our entire collection of butterfly wafer paper HERE. Don’t be caught without our amazing NO FAIL SUGAR COOKIE RECIPE – this is one recipe you will use time and time again! Shop fancyflours.com for all your spring baking needs! 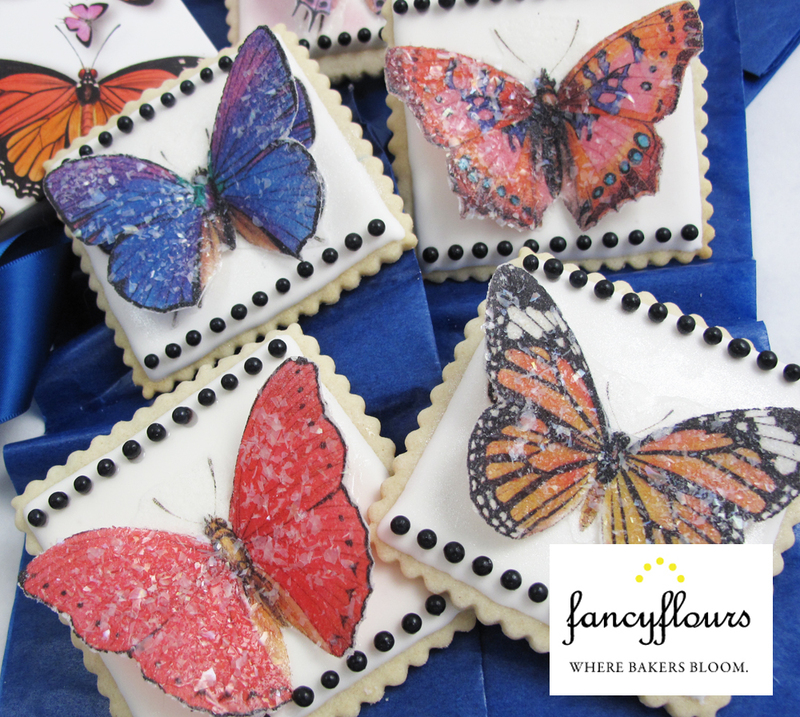 ‘Tis the season for a batch of colorfully decorated butterfly cookies. 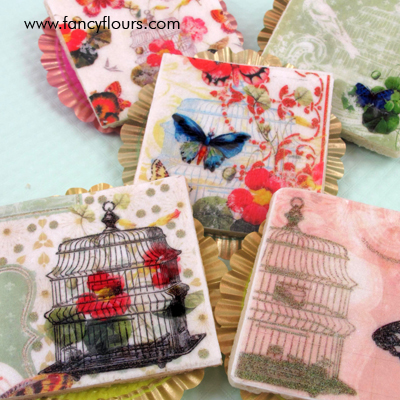 With their wings “aflutter” and brilliant hues these sugar cookies won’t last long. With a few simple decorating items, your cookies will soon be ready to take flight. Perfect for Mom’s day (which is May 10th) and for spring gatherings and parties. Ready to bake? Check out the entire recipe by clicking HERE.